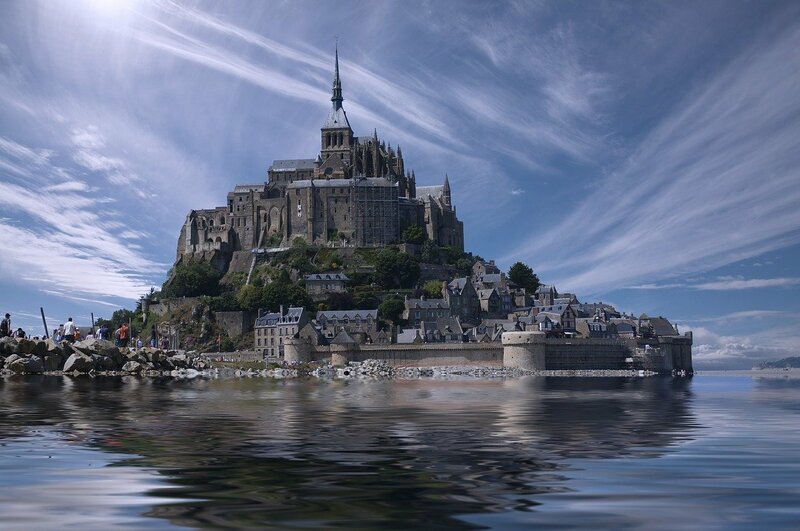 Mont-Saint-Michel at high tide is an incredible sight. The island becomes cuts off from the mainland giving you plenty of time to explore while waiting for the tide to recede. The video below was filmed from a drone and shows the island’s setting. It really does seem to rise majestically from the bay. It’s also very impressive when you catch your first glimpse of it in the distance. 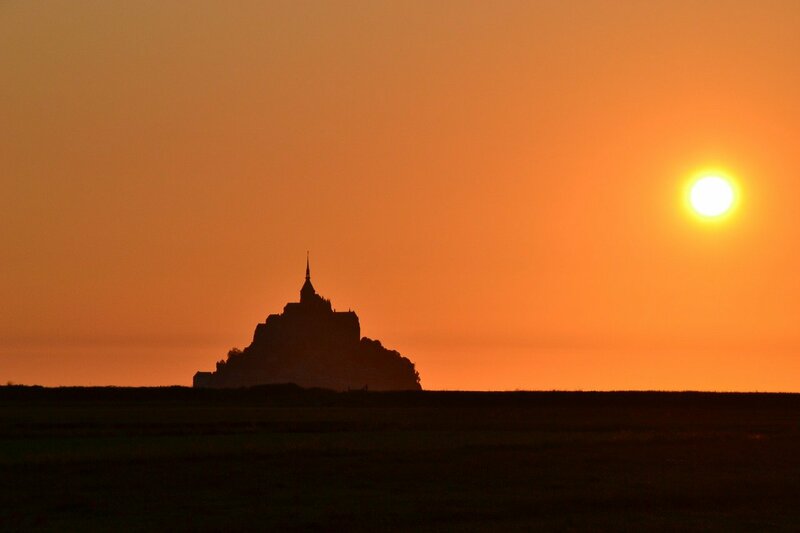 It can be seen from the D175/176 that runs from Avranches in Normandy to Dol-de-Bretagne in Brittany. There is also a good view from the Jardin des Plantes in Avranches, Pointe du Grouin du Sud (a viewing point around 5km across the bay) and from the German cemetery at Huisnes-sur-Mer. For an in-depth look at Mont-Saint-Michel this guide has photos, videos, drone footage and information about the whole island.